You are here: Home / / Safari Basics / Safari Season: When’s The Best Time For Safari? Safari Season: When’s The Best Time For Safari? Destination: Is there a specific country or national park you want to visit? If you can be flexible on your safari destination you’ll have more chance of finding a great safari at any time of year. Wildlife: What type of wildlife are you hoping to see? Certain wildlife is restricted to specific countries or even specific national parks, so you’ll have to plan ahead for the best time to visit. Budget: High (dry) safari season generally means more wildlife, more tourists, and higher prices. Conversely, going on safari in wet season means cheaper safari lodges and tours, but poorer wildlife viewing. In this sense the best time for a safari really depends on how much you’re willing to spend. 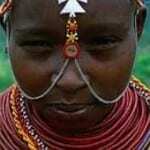 January is a fantastic safari month for East Africa – specifically Kenya, Tanzania and Uganda. The climate is primarily dry and meaning you’ll find it easy to spot wildlife as they congregate around watering holes in dense numbers. In northern Tanzania, around the Salei and Ndutu plains, the great migration of grazers – closely followed by their big cat predators – can be seen. In northern Tanzania in February you’ll see the new generation of wildebeest being born, filling the plains with even more wildlife – and prey for the predators. Kenya and Uganda also have plenty of baby animals and the climate is not yet too stifling. Southern Tanzania and further south in Africa is hot and humid at this time of year, so best avoided if you’re not a fan of heat. The dry season continues in East Africa through to early March, with the diversity and numbers of game unsurpassable elsewhere in Africa at this time of year. You will find some rain starting in Uganda around mid-March, making gorilla safaris a bit of a gamble from March onward. April is considered the shoulder safari season in Tanzania and Kenya as the rainy season starts, meaning some good deals can be found on safari lodges and tours. It also means that there are usually fewer tourists. However, the downside to rainy season – aside from potentially getting wet whilst wildlife spotting – is that plentiful water means wildlife disperses and is harder to spot, some of the dirt roads around national parks become impassable, and quick growing vegetation blocks views of the animals. Moving further south down Africa, Botswana and Namibia have cooler, drier weather at this time of year, making them good April safari destinations. In Zambia and Zimbabwe the Victoria Falls are at their peak with the start of the heavy rains further north, and can be easily combined with a safari trip to elsewhere in Southern Africa. Those lodges in East Africa that are open should provide heavy discounts at this time of year, and though you’ll see plenty of wildlife there it won’t compare to other months. Zambia is best for safaris in May-time for truly wild driving and walking safaris, and with the dry season well on the way through Southern Africa, Botswana, Namibia, Zimbabwe and South Africa are all starting to come into their own. By June Southern Africa is the number one safari destination, Take your pick from South Africa, Botswana, Namibia, South Africa, Zambia or Zimbabwe as they all enjoy their peak safari season at this time of year. Although you’re in Africa be prepared for the chilliness of early mornings and night time (and be sure to check out our guide to what to wear on safari). Between July and September is probably the best time to go on safari, with all safari destinations open for business and the wildlife booming. However, there are down-sides – near-perfect weather conditions means plenty of tourists and high prices, so it’s not the ideal time to find a budget safari. 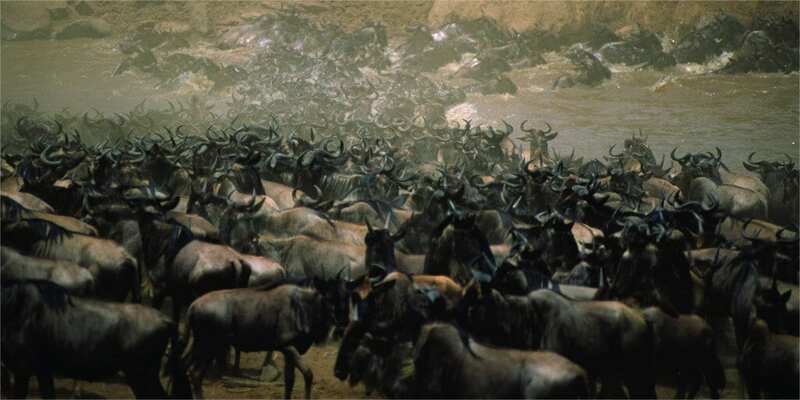 In East Africa the Masai Mara offers a grazing heaven for millions of wildebeest – that is, those wildebeest who manage the river crossing with the crocodiles in wait to pick off the weak and slow. Southern African parks are dry with diverse wildlife sharing watering holes which can viewed from a lodge or bar, a car, or perhaps even your own tent or balcony in a luxury safari lodge. Shoulder safari season in Botswana and Namibia means better deals on safaris there, though there is the gamble of early rains interfering with the quality of your game viewing experience. Kenya, Tanzania and Zimbabwe are the traditionally strong October safari destinations as they’re at the tail end of their dry weather with great wildlife spotting opportunities, and the short rainy season has yet to arrive. November is definitely not the best time for safari in Southern Africa as the rainy season starts here in earnest, along with significant heat and humidity. The exception here is the Okavango Delta in Botswana, where migrating birdlife starts arriving in large numbers, and stay through until March time. Around November Zambia’s Liuwa Plain National Park sees it’s own mini migration of grazers which is not as spectacular as the East African version, but is one of nature’s great shows none-the-less. Back in East Africa, the migrating herds make their way back to the Serengeti in Northern Tanzania to continue the migration cycle. If you’re a birder, Botswana’s Okavango Delta begins to fill up with migrating birds this month, starting their breeding season (which lasts until March). Normal service is resumed in the big safari destinations in East Africa – Kenya, Tanzania and Uganda. The dry season is starting over and excellent game viewing returns. Bear in mind that if you’re looking at a safari over the Christmas period both demand and prices can rocket. 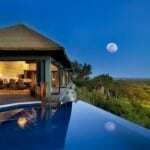 https://safarisafricana.com/wp-content/uploads/2012/02/a-best-time-for-safari.jpg 2627 5251 Safari Ed http://safarisafricana.com/wp-content/uploads/2017/06/safaris-africana-logo-blank-1-300x135.png Safari Ed2012-05-19 12:34:082018-03-15 07:22:34Safari Season: When’s The Best Time For Safari?